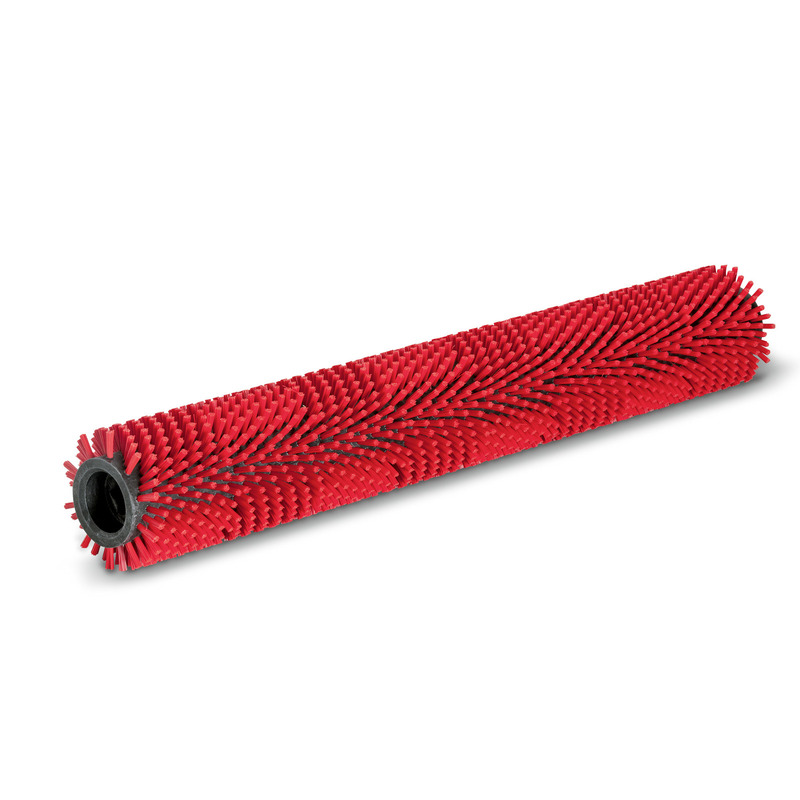 Roller brush, medium, red, 450 mm 47623920 https://www.kaercher.com/tn/accessory/roller-brush-medium-red-450-mm-47623920.html Roller brush, medium-hard, red. Length: 448 mm.With wear-resistant star-wheel mechanism. For normal use. Bristles: Polypropylene, 0.4 mm thick, 20 mm long. Roller brush (medium-hard, red) with wear-resistant star-wheel mechanism, length 448 mm. Suitable for normal use and sensitive floors. Bristles: Polypropylene, 0.4 mm thick, 20 mm long.